Shortsea has been the main focus for Viasea since the start-up in 2016. This has resulted in high precision and predictability on Viasea’s schedules. Predictability is also the foremost goal for the new Lübeck-service. "Our existing network covers the Baltics, Poland and Western Europe. The new service from Lübeck is established to complement our services further. 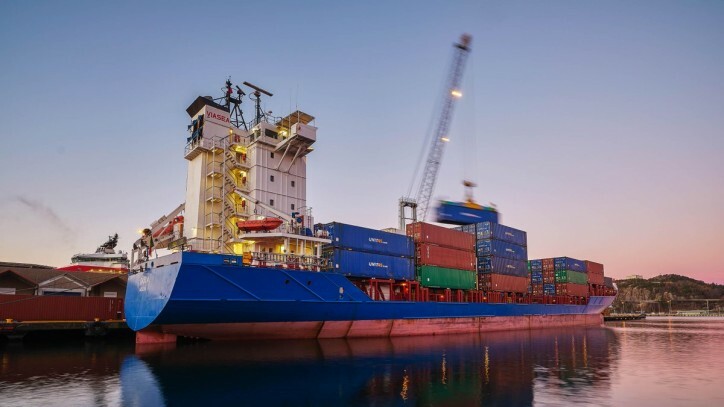 The rail connections in Lübeck are connecting the port to and from vast areas of Europe, and this opens for many new opportunities for us and our customers", states Morten Pettersen, Managing Director of Viasea. Viasea is a dedicated shortsea operator with two main targets; to offer the best sea freight alternative to road freight, and to be the most reliable shortsea service in the market. Sea freight has proven to be less expensive and more environmentally friendly as opposed to the traditional road freight. With the rail connections, port of Lübeck can offer, Viasea makes it easier for their customers to choose environmentally friendly freight solutions.